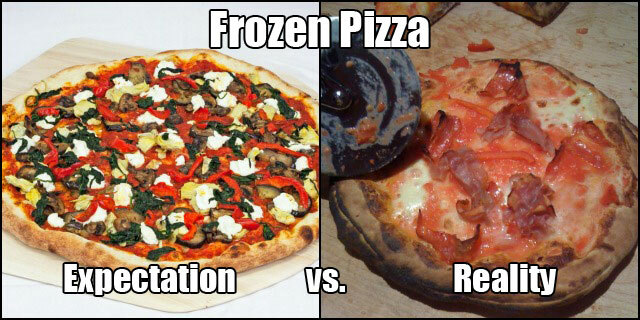 Don’t Be a Victim of Frozen Pizza! We’ve all been there: an intense craving for pizza that you just can’t seem to shake. You head to the frozen food aisle, pick up a frozen pizza with an appetizing box, and pop it in the oven thinking it will solve your problem. Is there a greater disappointment than pulling that pizza out of the oven?! Problem not even remotely solved. Don’t make that mistake again. Instead of the frozen foods aisle, come on down to Pop Up Pizza. Pick up a slice of hand made downtown pizza that will absolutely put your craving to rest…for now. Contact us at (702) 366-0049 or order online to get pizza delivered to your door.